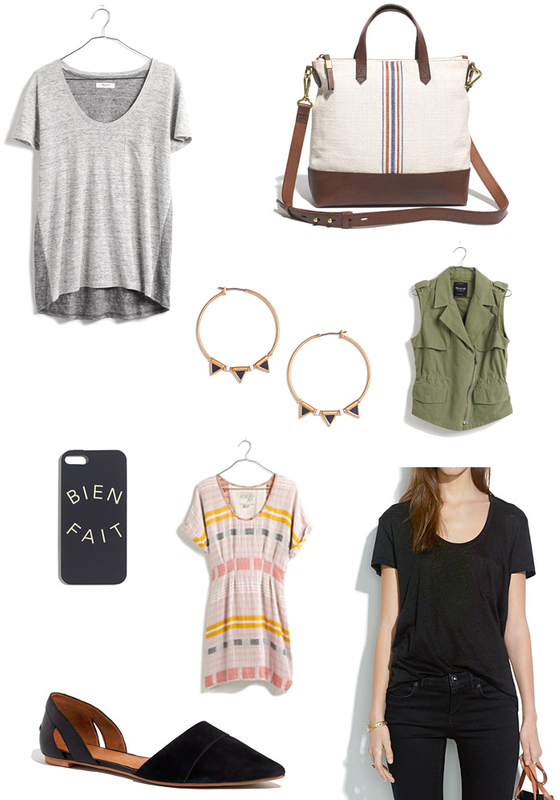 Stop everything....Madewell is having a sale! Y'all...the sale is on sale at Madewell. As in, take an extra 30% off of sale with the code MAKEWAVES. With that glorious news that landed in my inbox, I may or may not have indulged in the perfect black flats, this color block linen tee, and this essential basic tee because they are just perfection. But hurry up, the sale on sale ends on 6/29. I showed you mine, now you show me yours....anything you plan on scoring while the getting is good?! Oh my gosh, I wish! I seriously can't spend money right now, but I'd be all over your same picks! love the lbf...sortof a must.